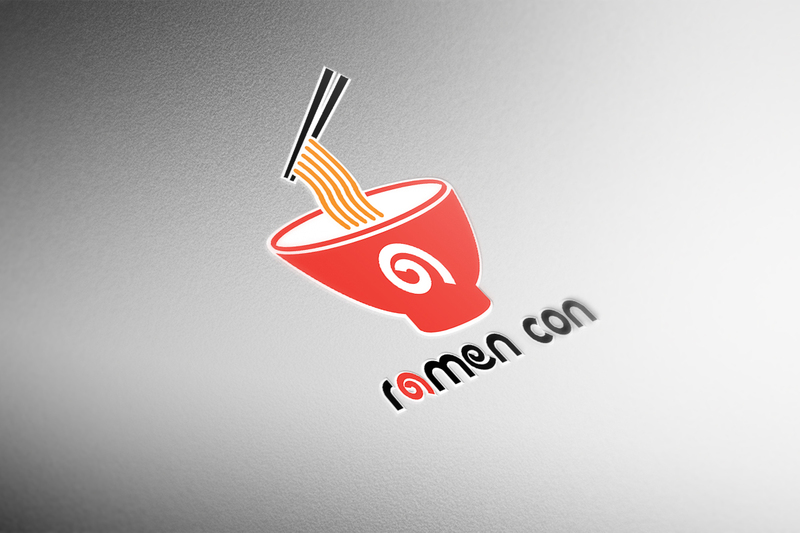 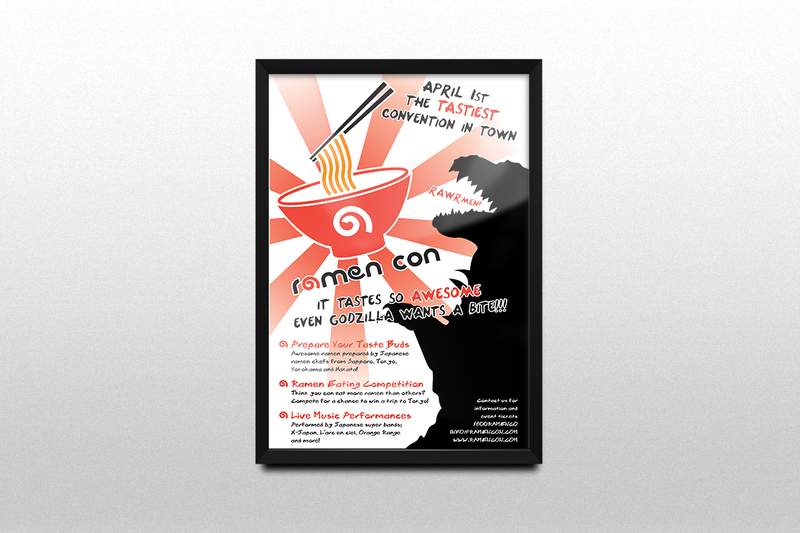 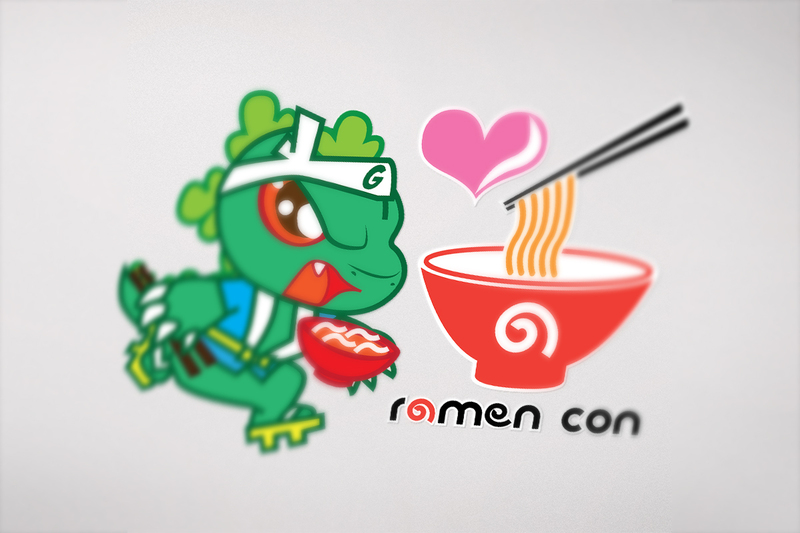 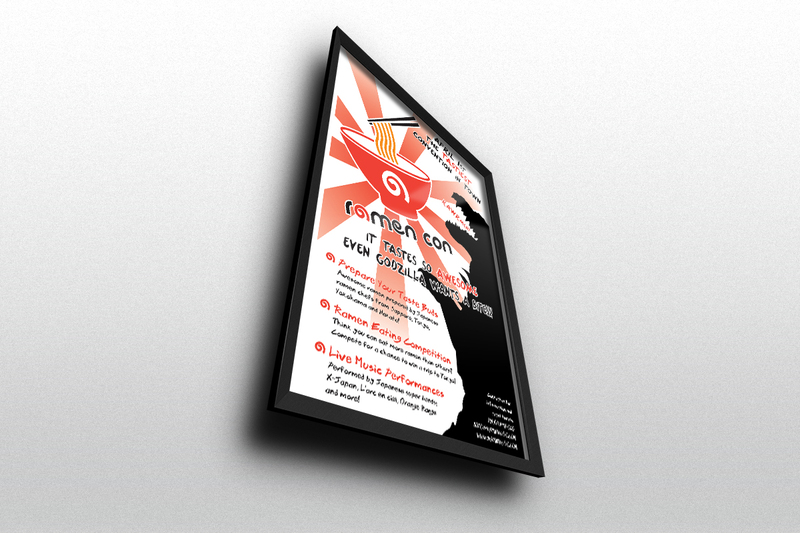 Here is the logo and promotional poster I’ve created for the International Ramen Convention. 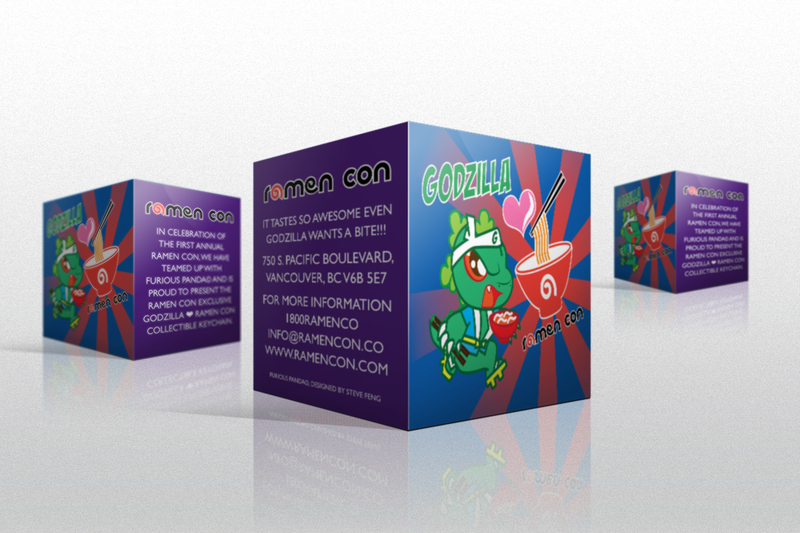 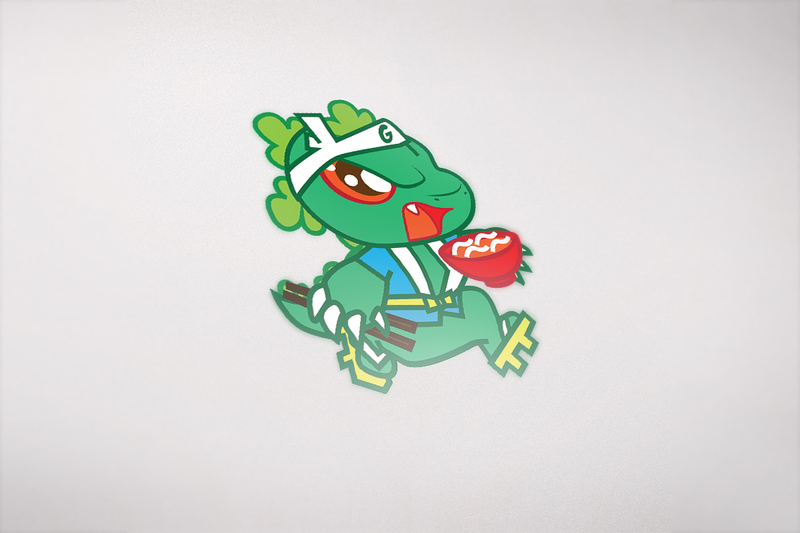 I’ve also designed a Godzilla mascot, marketing flyer and gift box packaging for the exclusive Godzilla ♥ Ramen Con event. 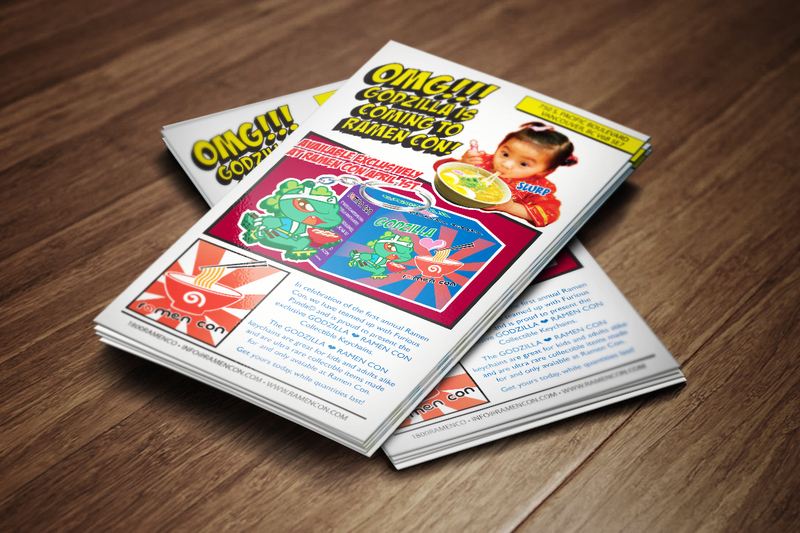 Try out the DIY packaing box by printing this PDF file or click on the last image below.